If I had to predict the future of SEO, I’d suggest that it lies in voice search. If you want to promote your company in the future, you need to pay attention to this! Personally, I’ve found voice search much more valuable than I thought. On Prime Day this year, I broke-down and purchased an Amazon Echo. Not only have I trained it to connect with my smart home, but it’s trained me. Now I don’t even look at the clock- I just ask Alexa for the time. I don’t pick up my phone to add things to my shopping list- I just tell Alexa to do it. And, yes, I’ve made several purchases with Amazon over my Echo. I haven’t used it to search for professional services- yet. One reason: the Echo doesn’t do a particularly good job with this. This is why I bought a Google Home on Black Friday. Google makes this very easy. It even allows you to call businesses through the device. I predict that once I start using these devices for these kinds of services, I’ll be hooked. According to DigiTimes, Amazon expects to sell more than 10 million Echo devices in 2017. This means that sales have doubled each year, over the last three years. One in five people use their voice, rather than a keyboard, to interact with a device. Clearly this is something we need to pay attention to. What can we do about it? 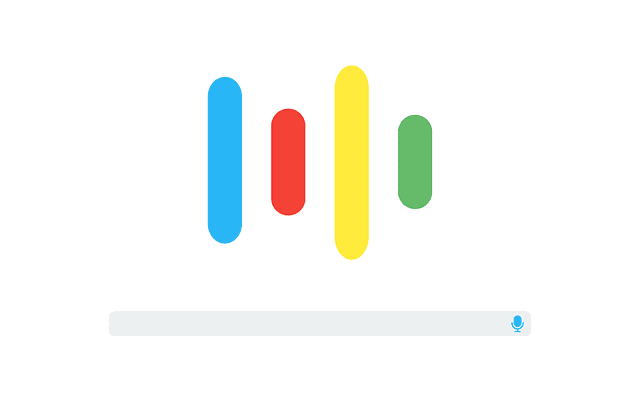 How Can You Rank for Voice Search? This all depends on what you want to “rank”. If you want your business to be found by a voice search, you need to show up in the local-pack. That’s the list of businesses (with addresses and phone numbers) in a search result. This is the result of a good local SEO campaign. There’s another way to rank for voice search: featured snippets. If Google chooses your site to provide a featured snippet, it will use this to provide an answer to a voice search. This is why Google has been providing featured snippets for a few years now- they’ve been preparing for voice searches. A “featured snippet” is a featured answer to a search query. Google provides this answer above the normal 10 search results. In this way, you see the answer to your question without having to click on a search result. This is how Google uses a featured snippet in response to a voice search. How can you appear as a featured snippet? Be selective. Not every query can become a featured snippet. SEO best-practices are the biggest factor, especially links. Divide your content into several headlines that ask questions. To earn a paragraph, keep it between 45 and 97 words long. Keep lists between 4 and 8 lines and less than 64 characters. To earn a table, keep it between 3 and 9 rows, 2 or 3 columns. Include an image with ALT text that illustrates your answer. As this changes, I’ll continue to update this page. How can you identify opportunities for featured snippets on your site? Login to Search Console for your site. Go to Search Analytics. Select “Average Position” as the data you want to see. Pages ranking less than 10 are your best opportunity. Click on keyword to see if Google gives a featured snippet. Optimize this page to earn the snippet for your site. If people are looking for an answer to their question, and your featured snippet gives it to them, you might never know. In a way, Google might steal your traffic. To compensate for this, you have to walk a thin line. Give them enough information for the featured snippet, but make them still want to visit your site, for more information. When someone first searches for a service, they aren’t always ready to make a call. Typically they want to look at the available options before reaching out to a company. Voice search doesn’t do a good job helping you evaluate the options. This is where a good, ole Google search will be helpful. This will give you several (10) options to evaluate before you pick the best option. Despite the downsides to voice search (and featured snippets) I’d still recommend the effort. What’s the worst that can happen? You produce great, helpful content to your website and expose new customers to your brand. Sounds like a good idea to me!